Sydney Band 488 – Celebrate the events of life with live music by Sydney Band 488 from Sydney. Experience the jazziest, funkiest and most versatile arrangements of players and songs at your wedding, party or professional gathering. 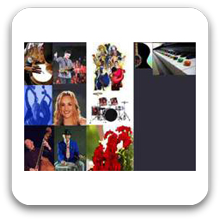 Sydney Band 488 creates the atmosphere, choose a wedding band or a corporate band and DJ, featuring some of Australia’s most talented professional musicians playing a mix of jazz, latin, lounge, contemporary and dance. Fabulous wedding and corporate live music for hire at a most reasonable price. Can perform as a: 3 to 10 Piece Band and are available to perform in Sydney and Surrounding Areas.